Dr. Risa Lavizzo-Mourey, CEO of the Robert Wood Johnson Foundation, is No. 26 on the list. As conversations in healthcare continue to focus on quality, patient safety and a system shifting to value over volume, Modern Healthcare's 12th annual ranking of the 50 Most Influential Physician Executives and Leaders increasingly reflects the industry players charged with making it happen. While physician-CEOs at some of the nation's most prominent health systems continue to dominate the top of the chart, quality experts and regulators are moving up the list. No. 1 this year is Dr. Robert Califf, the newly confirmed commissioner of the Food and Drug Administration, followed closely at No. 3 by another top-level agency executive, Dr. Patrick Conway, chief medical officer at the CMS. Systems on the front lines of executing change remain near the top. They include Dr. John Noseworthy, CEO at Mayo Clinic, No. 2; Dr. Toby Cosgrove, CEO of the Cleveland Clinic, No. 5; Dr. David Torchiana, CEO at Partners HealthCare, No. 7; Dr. Benjamin Chu, newly named CEO at Memorial Hermann Health System, No. 8; and Dr. David Feinberg, CEO at Geisinger Health System, No. 9. 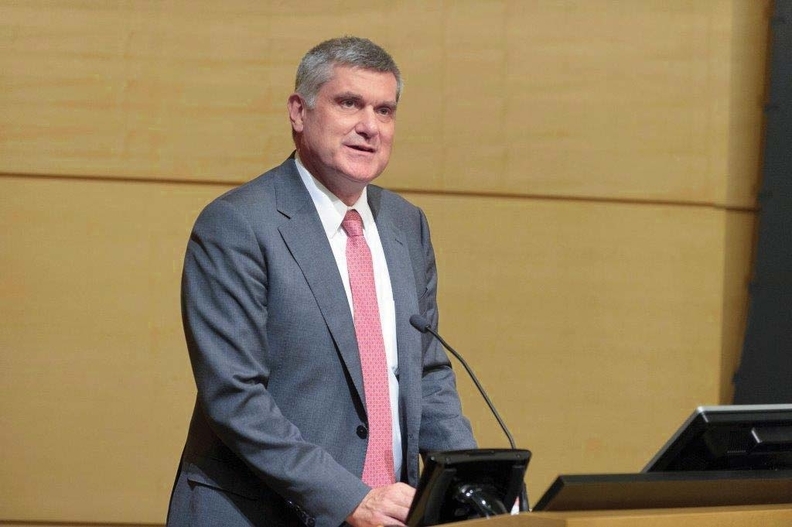 Dr. Craig Thompson, CEO of Memorial Sloan Kettering Cancer Center in New York, is ranked No. 45. Dr. Gary Kaplan, CEO of the Virginia Mason Health System, at No. 11, is one of three executives making the list for 11 of the 12 years the rankings have been published. Joining him are the Cleveland Clinic's Cosgrove and Dr. Risa Lavizzo-Mourey, No. 26 on the list, who is CEO of the Robert Wood Johnson Foundation, the nation's largest philanthropic organization dedicated solely to health and healthcare issues. Dr. Gary Kaplan, chairman and CEO of Virginia Mason Health System in Seattle, is ranked No. 11. Nine of the leaders on this year's list are newcomers: the FDA's Califf, Partners' Torchiana, Dr. Roy Beveridge, CMO at Humana, at No. 16; Humayun Chaudhry, CEO of the Federation of State Medical Boards, No. 28; Dr. Penny Wheeler, CEO at Allina Health, No. 31; Dr. Craig Samitt, chief clinical officer at Anthem, No. 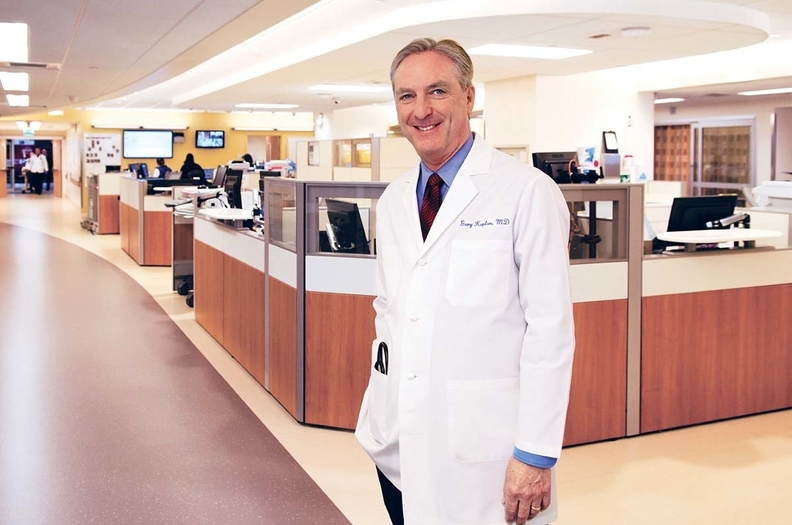 38; Dr. Kenneth Davis, CEO of New York City's Mount Sinai Health System, No. 39; Dr. Francis Crosson, chairman of the Medicare Payment Advisory Commission, No. 41; and Dr. Craig Thompson, CEO of Memorial Sloan Kettering Cancer Center, No. 45.